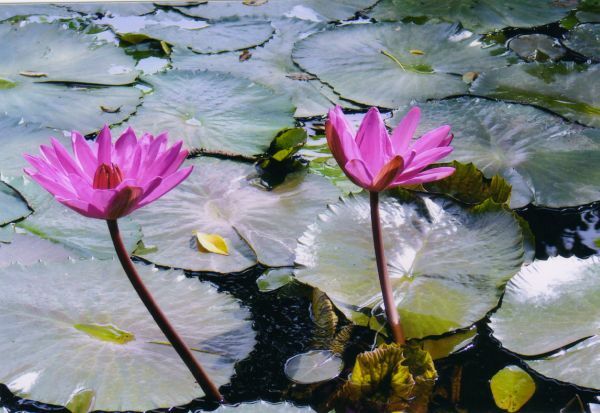 Gurupurnima – a festival of surrender unto Thee in the form of GURU. At the Ashram, devotees celebrated Guru Purnima in great enthusiasm & devotion. It started with group recitation of Sri Jaya Ganesh Kirtan, Guru Stotras, Shanti path, Paduka Pujan of Sri Gurudev and meditation lead by H. H. Sri. Swami Adhyatmanandaji Maharaj at early dawn hours. Sri Gurudev's Paduka Pujan, sharing of Holy Master's teachings & devotional Bhajans brought their living presence in the hearts of all the devotees. Mid-day meal was served to hundreds of sisters and brothers who are less fortunate to stand in the common parlor of the society. Also they were gifted packages of fruits & snacks. 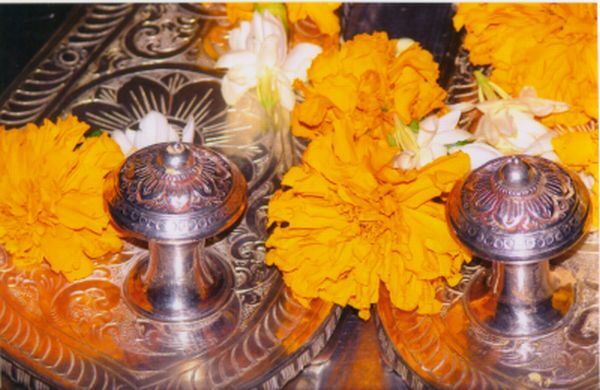 Sri Swami Adhyatmanandaji offered his obeisance to the great Sage Sri.Vyasa. Sri Bhagwan Vyasa, who is a compiler of the Vedas and author of the Brahma Sutras and eighteen Puranas, including the Srimad Bhagavata Mahapuranas. 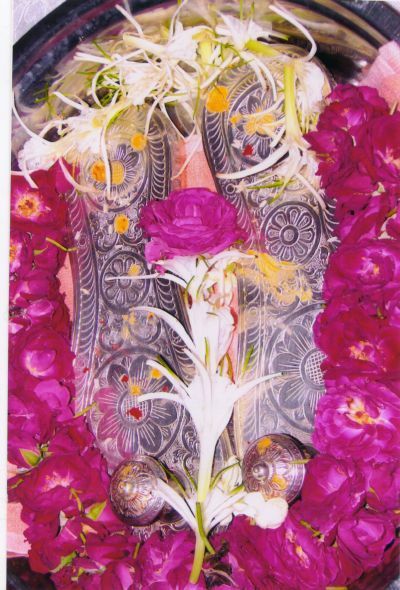 It is believed that the Lord Narayana Himself incarnated as Sri. Vyasa. Revered Swamiji Maharaj paid homage to Sri Vyasa Bhagavan, the Guru-parampara and the Holy Master Gurudev Sri. Swami Sivanandaji Maharaj and the Most Worshipful Gurumaharaj Sri Swami Chidanandji Maharaj. At the concluding, Mahaprasad (Bhandara) was served to about four hundred devotees. Devotees from all over Gujarat participated in a full day long festivity. 45th Maha Samadhi day, Holy Aradhana day of Most Worshipful and Revered His Divine Holiness Sri Swami Sivanandaji Maharaj was celebrated in great serenity and devotion. 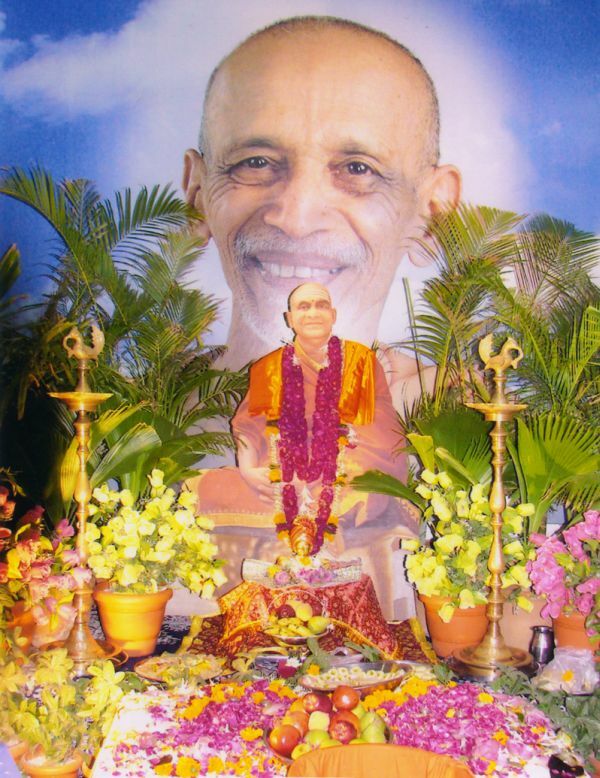 On July 27, 2008 a farewell gathering was organized for worshipful revered Sri Swami Adhyatmanandaji Mahara, at the start of His "Divya Tour 2008 " to the west. Devotees wished him a joyful, peaceful, meaningful tour to UK, USA & Canada. 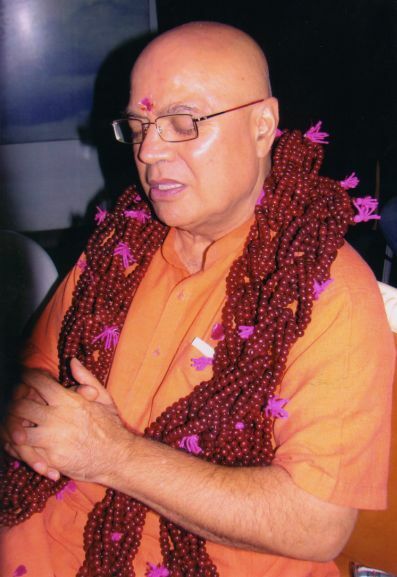 On July 29, afternoon Sri Swami Adhyatmanandaji Maharaj departed for His 'Divya Tour 2008' to West UK, USA and Canada. Sri Swamiji Maharaj will be back on Nov. 22, 2008. On July 12, 2008 Shri Swami Adhyatmanandaji Maharaj was invited to give keynote address to the graduating class of Indian Institute of Planning and Management. Unfortunately on evening of July 28th , there were series of bomb blast in the city of Ahmedabad in different area. It started from crowded, vegetable market, by the time injured were brought to the Government Hospital, a few more Bomb blasted at the very trauma and emergency wards of the Hospital. Many have lost their lives and a large number of innocent infants, women, vegetable hawkers and general public were injured. This is an act of utter shame. Baroda: (July 6, 2008) In response to very generous and sincere request of Rotary Metro, Sri Swami Adhyatmanandaji Maharaj was invited to install, the new incoming team for the year 2008-2009. Sri Swamiji Maharaj gave the keynote address upon the very theme of "Rotary Shares". As always, Swamiji graced a number of devotees' houses as well as visited Subhechha Hospital of Dr. M. G. Merchant. Bochasan: Sri Swami Adhyatmanandaji Maharaj accompanied by Sri Swami Narayan Swaroopanandji Maharaj, Sri Swami Vasudevanandaji Maharaj and Sri Prakashbhai Soni, the trustee of the Sivananda Ashram and other devotees went to Holy Swaminarayan Temple at Bochasan and paid homage. They attended their morning service in the temple and were blessed by a darshan of the H. H. Pramukh Swamiji Maharaj. 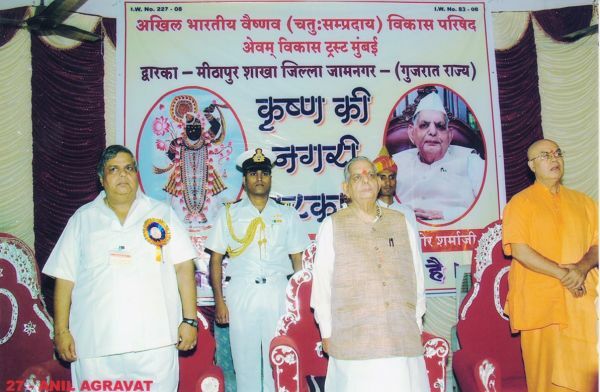 Dwarka: On July 22, 2008, upon request of His Excellency the Governor of Gujarat, Pandit Shri Nawal Kishore Sharmaji; Sri Swami Adhyatmanandaji Maharaj accompanied him to visit "Dwarka". At Dwarka, Sri Swamiji Maharaj, accompanied by the Governor lit the lamp and inaugurated the All India Cultural Vishnu Grand Conference. In his memorable speech, Swamiji Maharaj talked about true meaning of "Vaishnava". Sri Swamiji elaborated the Gunas of true Vaishanva, the one who is free of Ego, loves every one and hate none, who is pure to the core of the heart in word, thought and action. True Vaishanva is supposed to be a man of equal vision, a man of renunciation, adheres to truth, non violence and free from lust, anger and greed. 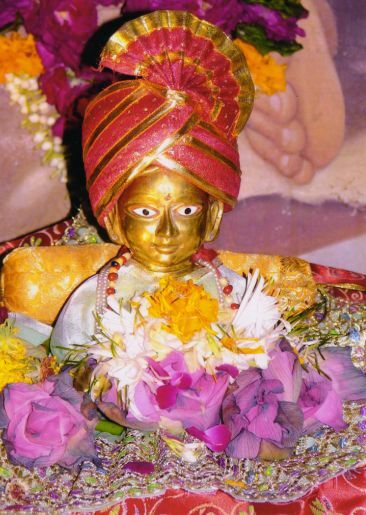 Swamiji cited the example of Bhkta Sudama, a devotee of Lord Sri Krishna, who was true Vishnav, who had a total devotion and surrender to the Lord. Sri Swami Adhyatmananda is accompanied by H E. Governor of Gujarat paid homage to Most Worshipful and Revered Shankaracharya of Sharda Peeth of Dwarka, His Holiness Sri Swami Swaroopanandaji Maharaj. After having beautiful darshan of Dwarkadhish – Lord Sri Krishna at Dwarka, entire team flew back to Ahmedabad in the private plane together with Mr. Governor. Kolkatta Sri Swami Adhyatmanandaji Maharaja accompanied by Sri Arum Oza, a vice president and a trustee of Diva Jivan Sanskrutik Sang had a visit to Kolkatta from July 24th to July 26th evening upon the invitation of Life Insurance study circle, Kolkotta for a special conference organized on the theam of "Secret to Win ". Revered Swamiji Maharaj was given a warm welcome by the Life Insurance team and by The Divine Life Society, Kasba (south Kolkotta) at the airport. Revered Sri Mr. Subrato Sha, President of the Life Insurance of LIC business study received Sri Swamiji Maharaj at hotel Hyatt Regency. On July 25th Sri Swami Adhytmanandaji , Mr. Shetty, Mr Soparkar & Mr. Sony Executive Director and chairman from India & Malasia, lit the lamp and announced the formal opening of the conference. Sri Swamiji gave a keynote address by sharing the words of wisdom and brought light upon the subject that spirituality is the need of the hour for any business, especially where the principle need is healthy public relation. Sri Swamiji was honored by the organizers. Afternoon of the July 25th Sri Swami Maharaj visited devotees home upon their requests. In the late afternoon, Sri Swamiji and a group of devotees visited holy Sri Dakshineshwar temple and Belur Math. Meeting with and paying homage to Most Worshipful and Revered Sri President Maharaj of Sri Ramakrishna Math and Mission, Sri Swami Atmasthanandaji Maharaj was very unique experience. He Blessed Sri Swami Adhyatmanandaji Maharaj & devotees group accompanied Swamiji. Evening satang was organized at DLS Kasbah. On July 26th late evening Sri Swamiji came back to Ahmedabad. That day people of Ahmedabad city was in burning agony, shock and pain from the victims of twenty seven bomb blast by terrorist.